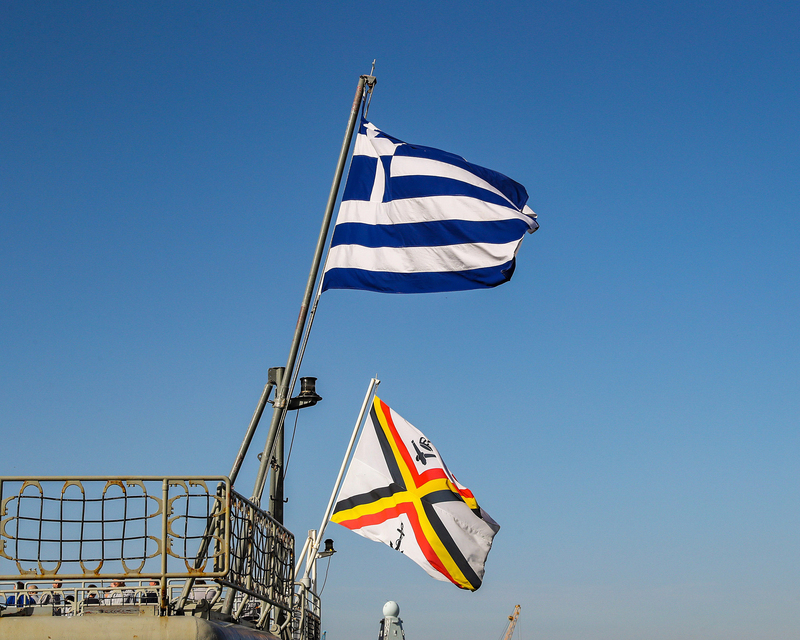 CATANIA, Italy (March 02, 2018) Belgian and Greek flags are hoisted pierside in Catania, Italy on the bows of their respective ships. 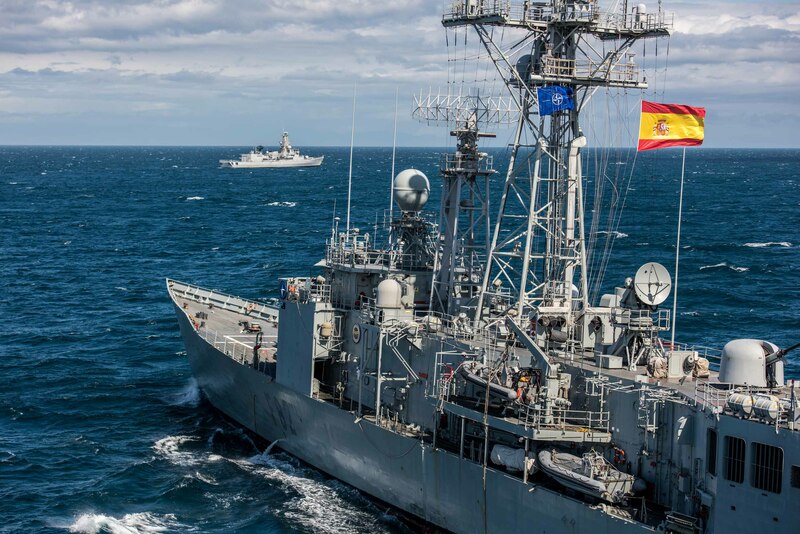 The ships are in Catania in preparation for NATO exercise Dynamic Manta 2018. 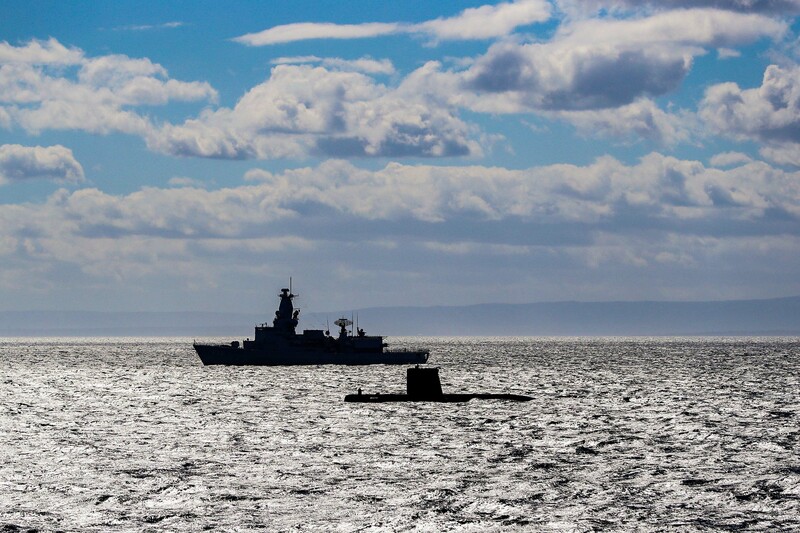 Dynamic Manta is a NATO Maritime Command-led exercise designed to sharpen the anti-submarine warfare and anti-surface ship warfare skills of the participating units. Dynamic Manta 2018 will be conducted in vicinity of Italy from 5 March to 16 March 2018 and include participants from 10 NATO Allies. NATO photo by CPO Christian Valverde. 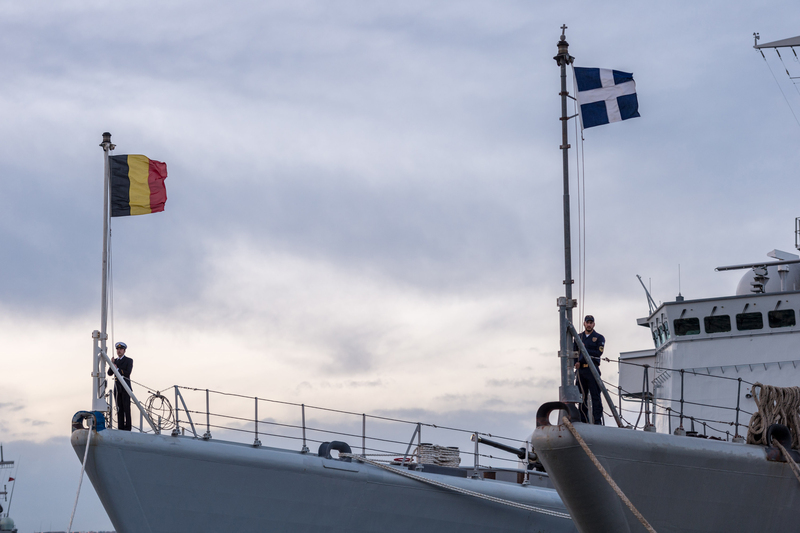 CATANIA, Italy (March 2, 2018) Flags fly from the stern of HS Elli (F450) and BNS Louise Marie (F931) pierside in Catania, Italy for final preparations for NATO anti-submarine warfare exercise Dynamic Manta. NATO photo by GBRN LPhot Paul Hall.